A Sweet Treat to Help Mom & Dad Celebrate! 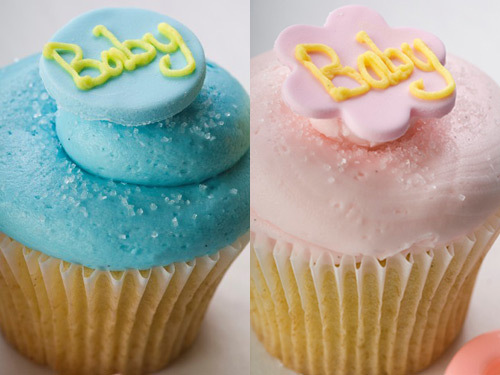 Our Yummy Cupcakes are the sweetest treat to help Mom and Dad celebrate the coming arrival of their little creation. 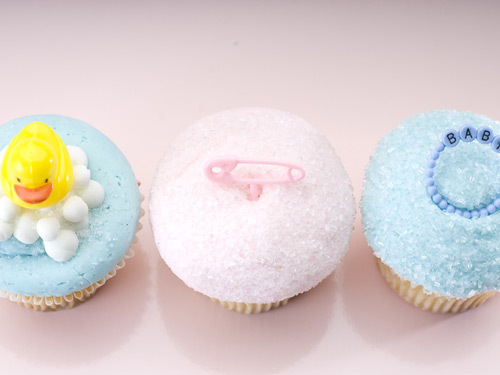 For the special baby shower, our talented Pastry Chefs can create custom designs to match the theme and colors of this special event. And, you can select from a variety of delicious flavor combinations to delight your guests. All pink or blue cupcakes topped with a fondant flower or circle finished with lettering that says “Baby” or the new Baby’s name! Yummy Cupcakes is excited to offer you a variety of beautiful and unique displays ranging from traditional to ribbon trimmed towers to towers accented with pink or blue fabric decorated accent boxes to a custom designed display created just for you. Rental prices range from $25 to $150. Custom displays, of course, depend upon the design. 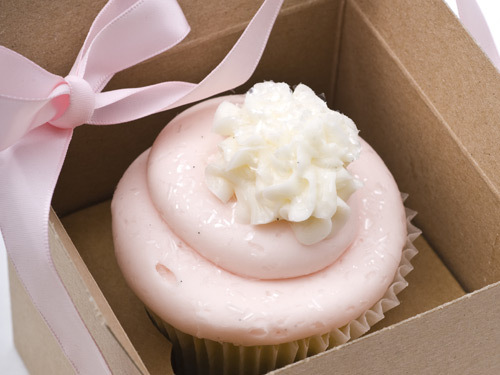 You are welcome to have a friend pick up your cupcakes and display and we will be happy to instruct your friend on how to put everything together. Or, if you prefer, you can arrange for our staff to deliver and set up your display. Delivery is charged based on destination. Contact us so we can talk more about your event and get your order placed! 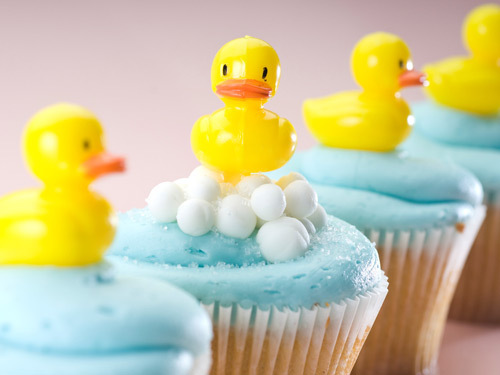 We also have prepared Baby Shower Cupcakes if you do not need customization.